Motokiyu supposedly quotes interviews from Joe LeSueur and Kenneth Koch from 1990, when Motokiyu was in New York, and he has LeSueur more or less agreeing with him that Frank couldn’t have written the poem. I was one of the many audience members at the NYU reading that was blown away by the beauty—there is no other word for it—of “A True Account.” No one had the slightest doubt at the time that Frank had written it—it was quintessentially him. 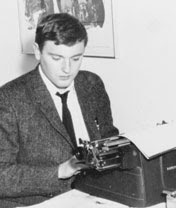 Everyone was definitely amazed that he had never published it, but, in 1971, everyone was further amazed by how many poems he never published, and how many that no one had ever seen, not Joe, not Kenneth, not John, not Jimmy, not Bill, not Ted. This casualness about his work was one of Frank’s salient, perhaps defining, idiosyncrasies. But let’s turn to the transcript itself, to the statements that Joe LeSueur as taped by Motokiyu-san is supposed to have made. I won’t bother to list the many unlikely and absurd phrasings that never would have come out of Joe’s mouth; and then there are the casual slip-ups of fact—such as that the Cedar was in the Village, not the East Village, and that July 10, 1959 was a Friday not a Thursday (the poem was supposed to have been written on a weekend, after all)—however, when Motokiyu calls up LeSueur from a pay phone with the expectation of meeting him that same day, he makes no mention of the fact that he would have had to make a toll call to Suffolk County, as LeSueur had already been living in East Hampton for some years by 1990, a good three hours from New York by either train or automobile, so it would be most unlikely that LeSueur would have said, “Let’s meet at The Cedar at 5 PM sharp . . . but it’s the next phrase in that very sentence that totally uncovers the hoax . . . at the outside tables in the sun,” and so we did. The Cedar has never had outside tables, not in its previous location between 8th and 9th Streets on University Place, and not in the “new” location a couple of blocks north, from 1965 to a few weeks ago, when it closed its historic doors. 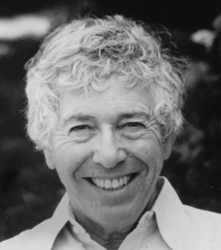 The purported interview with Kenneth Koch is also patently bogus, for reasons I will tell you sometime if you are still unpersuaded. Shall I run your letter on Isola di Rifiuti? I’d be happy to, with a short response [. . .] probably pointing out that the modicum of whimsical sass or aspersion I toss Koch’s way (or O’Hara’s) would not tarnish even a square inch of anybody’s reputation. “Demented” I likely arrived at by alliterative speed (with “dapper”)—it’s not a particularly pejorative word in my vocabulary (I could’ve said “zany” more safely I imagine). The truth is, I’m not terribly serious about most things, including slander and repute—there are only two faults (and I learned them both from O’Hara, absolutely a hero of mine I shouldn’t need to add): one fault is over-seriousness, being too earnest particularly about one’s “work”; the other, the failure to be attentive to the world. What about a series starring a hard-boil’d New York City detective by the name of Tony Towle? Mild manner’d poet, connoisseur of the Village’s haunts and hideouts, a good man for a stake-out, ever-willing to plug a thug, even for something’s old-fashioned as honor, or a man’s memory. Sam Spade. Tony Towle. ’S got a certain ring to it. write a few poems and collapse, did he? No! Get up! And about that “dapper”—didn’t I attend a reading Kenneth Koch deliver’d in Paris circa 1980, rue du Dragon, the American Cultural Center, a place that seem’d slightly affront’d by my clothes that look’d slept in, and didn’t Koch read “Fate” beginning—“In a room on West Tenth Street in June / Of nineteen fifty-one, Frank O’Hara and I / And Larry Rivers (I actually do not remember / If Larry was there . . .” and containing the lines “John / Unhappy and brilliant and silly” and, too, “they / Tended except Frank to pooh-pooh / What I said about Europe”? 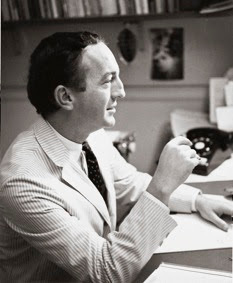 And didn’t a squad—ravening posse or guard?—of statuesque (and wealthy-looking) women surround Koch (who look’d tan and vif and quipping—a man clearly en pleine forme), defeating my standard desire of the moment—precisely, to acquire news of Frank O’Hara in New York City in the ’fifties? And didn’t I flee, fleeting it down to Convention where I inhabit’d a ding’d up cold water room in a lone building surround’d by rubble, and where I regularly dosed (and doused) my own ambition in bottles of high-tannick’d red Arabic wine? I did. Oh I did.